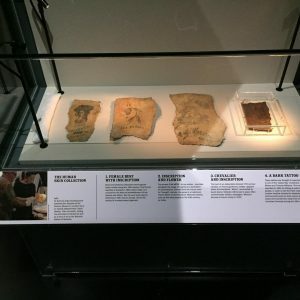 A brand new, highly-anticipated exhibition has recently opened at the National Maritime Museum in Cornwall, offering a ground-breaking and comprehensive history of British tattooing. 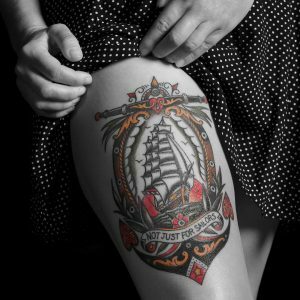 Tattoo: British Tattoo Art Revealed delves into the rich history of tattooing in Britain and aims to challenge preconceptions and long-standing myths about the practice when it comes to class, gender and age. The exhibition is the largest of its kind to take place in the UK and features cutting-edge designers, leading academics and major private collectors. 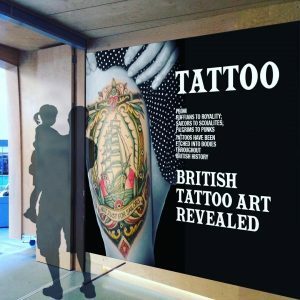 Tattoo: British Tattoo Art Revealed will also showcase the work of major British tattoo artists, including the legendary ‘King of Tattooists’ George Burchett and Killer Ink sponsored artist Lal Hardy. Among the private collections is a previously unseen archive relating to Britain’s first female tattoo artist, Jessie Knight. One of the most spectacular installations at the exhibition is the ‘100 Hands Project’, curated by Alice Snape of Things and Ink magazine. 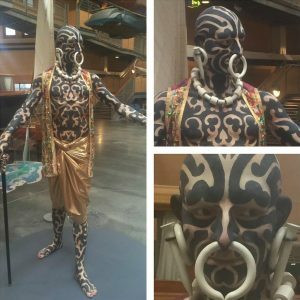 The project is based around 100 silicone arms, each tattooed with an original design by 100 of the best artists working in the UK. 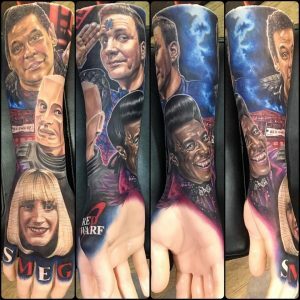 Our sponsored artist Chris Jones (who we filmed a Stranger Things video with last year) tattooed a Red Dwarf-inspired piece on A Pound of Flesh arm for the exhibition. 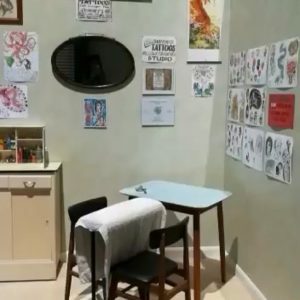 Other displays we recommend you take in at Tattoo: British Tattoo Art Revealed include a recreation of Lal Hardy’s first tattoo room (which was based in his Beaconsfield Road, London flat in 1979), a sculpture of The Great Omi and examples of preserved tattooed human skin. 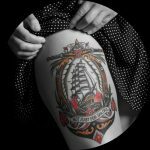 Tattoo: British Tattoo Art Revealed will be shown at the National Maritime Museum in Cornwall from 17th March 2017 to 7th January 2018.